The popular underground bar in the Barnes Building has opened a second room where the owners — including two ex-Crocodile bartenders — are hosting local and touring bands. It was only a matter of time. When Dave Flatman and two other bartender buddies opened Screwdriver Bar a little more than two years ago, they envisioned throwing backroom shows down the line. 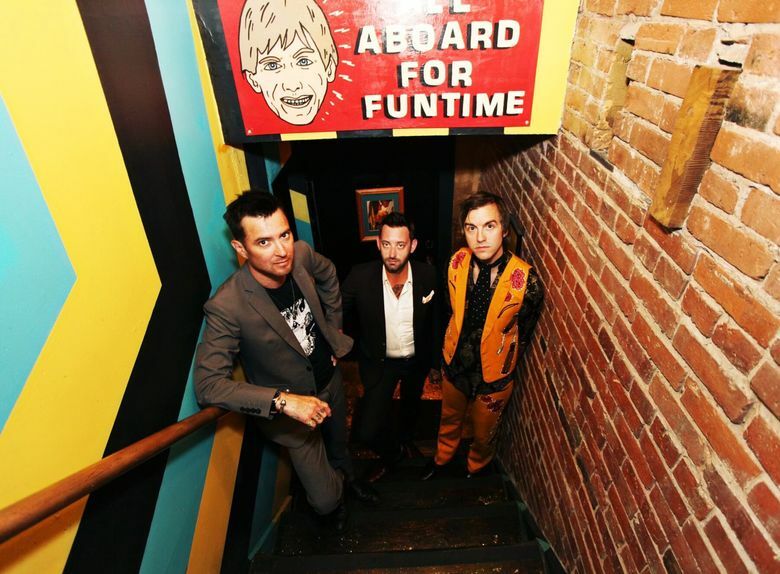 Those rock ‘n’ roll dreams have since become reality, as the trio has opened its new Belltown Yacht Club room within the subterranean bar, located at 2320 First Ave., in the Barnes Building. To that point, Belltown Yacht Club doesn’t look to compete with the neighborhood’s other venues. Flatman expects the room, which had previously gone unused, to hold around 100 people — less than a quarter of the Crocodile’s capacity. The owners plan to use the added space as a second bar area during busy nights and throw shows roughly once or twice a week. In keeping with the band’s rock ‘n’ roll aesthetic (see the AC/DC pinball and old jukebox stuffed with Sub Pop 45s), expect to hear a fair amount of guitars roaring out of the new space. After getting Screwdriver Bar on its feet, Flatman and his partners spent the last half of 2018 building out the show room, adding a bar and a small stage, using revenue from the bar. Since opening in 2016, Screwdriver quickly lured a crowd capable of debating Bowie’s catalog or their favorite Tacocat songs over Oly tallboys, smartly paired Boilermakers and unpretentious cocktails. Even before Belltown Yacht Club opened, the bar regularly hosted events, such as monthly DJ night Sonic Squeeze, led by KEXP’s Abbie Gobeli and DJ RightTernes (Megan Ternes of Sonic Squeeze Records). Screwdriver joined a spate of new bars opening in the area over the past two years, including Neon Boots, Black Cat and Jupiter Bar. So far, Belltown Yacht Club’s calendar — which Flatman hopes to get online soon — has been a mix of locals and DIY touring bands, with a metal takeover led by Seattle’s Skeletor planned for Saturday, Feb. 23. Better stock up on those Oly tallboys.